National Children’s Football Alliance and the Peace Village, Mesen, Belgium, are commemorating WW1 and celebrating peace through the 1914 Christmas Truce by offering schools, clubs and public play areas with the opportunity to twin a designated area of play with Flanders Peace Fields, site of the Christmas Truce. This is open to all schools, clubs and public play areas across United Kingdom and Republic of Ireland. This unique offer will directly link your area of play with one of the most famous fields in world history. Flanders Peace Fields lend themselves to education in a way that brings cultures, young and old together. In the week leading up to Christmas 1914 groups of German, British and alley soldiers stopped fighting to sing festive songs. Some on Christmas Eve and Christmas Day ventured in to “No man’s land” to exchange gifts and to play games of football. Today the truces are remembered as a symbolic moment of peace and humanity. An action taken by soldiers caught up in the conflict that was The First World War. Arguably, the horrors of war made men turn to a form of childhood to play a game of football to momentarily forget their tragic situation. It was a humanitarian act that every child and adult needs to engage in together. 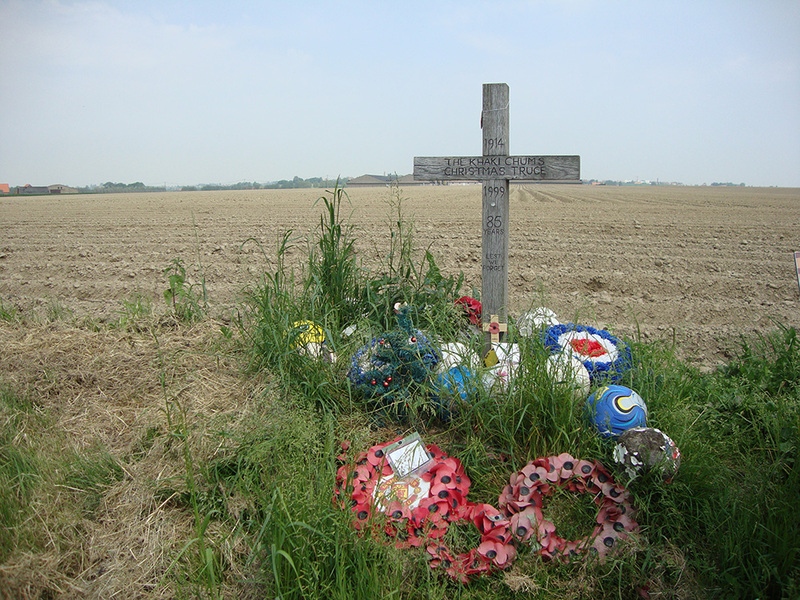 The NCFA are providing schools with the opportunity to twin their designated areas of play with the Flanders Peace Field. Working in partnership with the Peace Village, Messines, Belgium (site of the 1914 Christmas Truce) the Peace Field Project (PFP) invites schools not only to commemorate the First World War and the Christmas Truce but also to celebrate peace through reflecting on a moment in history that inspires humanitarianism. a short video message or letter explaining why the school feels it is important to commemorate WW1 and celebrate peace through cross curricular activities and learning about the 1914 Christmas Truces.